Pope Benedict XVI resigned from his job as “The Pope”. This has surprised many people. Usually the pope keeps the job till he passes away, and then a new pope is selected. Pope Benedict XVI wants to step down because of health issues. He was elected as the pope in 2005. He was 78 years of age at the time, making him one of the oldest popes to be elected. The last time a pope resigned was almost 600 years ago. Christianity is the world’s biggest religion. 2 out of every 7 people on Earth are Christians. The religion has various groups, and many of these groups have their own churches. Catholicism (also known as Roman Catholicism) is the largest Christian group with over a billion people, and they belong to the Catholic Church. The pope is the head of the Catholic Church, and lives in the Vatican City. After a pope passes away, or as in this case, after a pope steps down, the next pope is chosen by a group of special priests called Cardinals. The Cardinals work with the pope to run the Catholic Church around the world. Most of the Cardinals are chosen by the pope. Christians believe that Jesus Christ is the Son of God. Jesus had a group of people who were his very close friends and followers. One of the beliefs of the Catholics is that Jesus had chosen one of his followers, Peter, as the leader of the church. The pope is the successor of Saint Peter, with Saint Peter being the first pope. Pope Benedict XVI is the 265th pope. It is also believed that Saint Peter is buried where the famous church of St Peter’s Basilica in the Vatican City stands today. The Cardinals gather at the Sistine Chapel, also in the Vatican City, to select the next pope. They have no communication with the outside world until they decide on the new pope. The Cardinals keep the outside world informed about the selection progress through regular smoke signals! Black smoke coming out of the chimney at the Chapel indicates that the pope has not been selected, while white smoke means that the Cardinals have chosen the next pope. 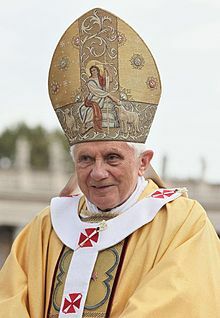 The process of selecting the next pope will start after Pope Benedict XVI’s resignation goes into effect on February 28. Pope Benedict XVI used some of the newer technologies to communicate with people around the world. In December last year, he started “tweeting” (sending messages using the social media site Twitter). Many of us label our years with “BC” and “AD”. For example, this year is AD 2013. “BC” stands for “before Christ”. “AD” stands for “anno domini”, which means ”in the year of our lord” in Latin. In this numbering system, there is no year zero. It goes from 1 BC to AD 1. Many people replace BC/AD with BCE/CE. BCE stands for “before common era” and CE stands for “common era”. Here is a video about it. 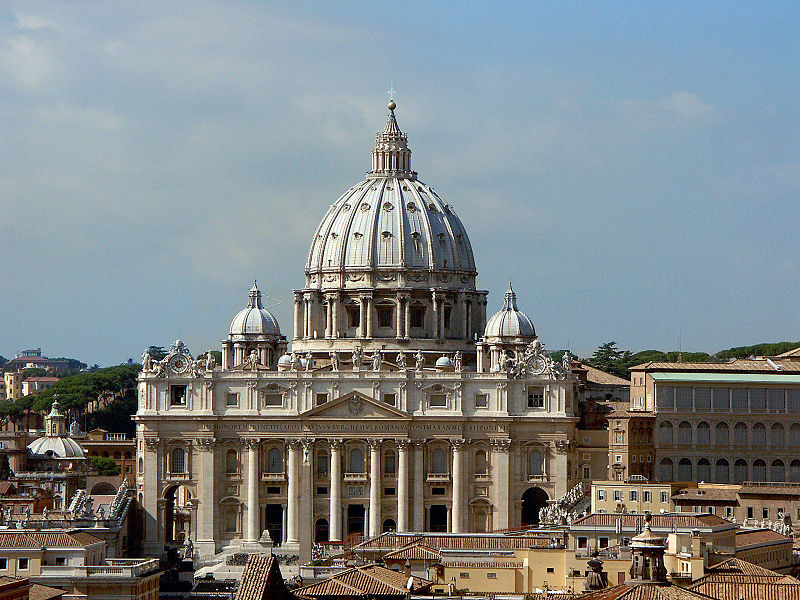 Vatican City is considered to be the world’s smallest independent state. It is surrounded by a single country, Italy, on all sides.